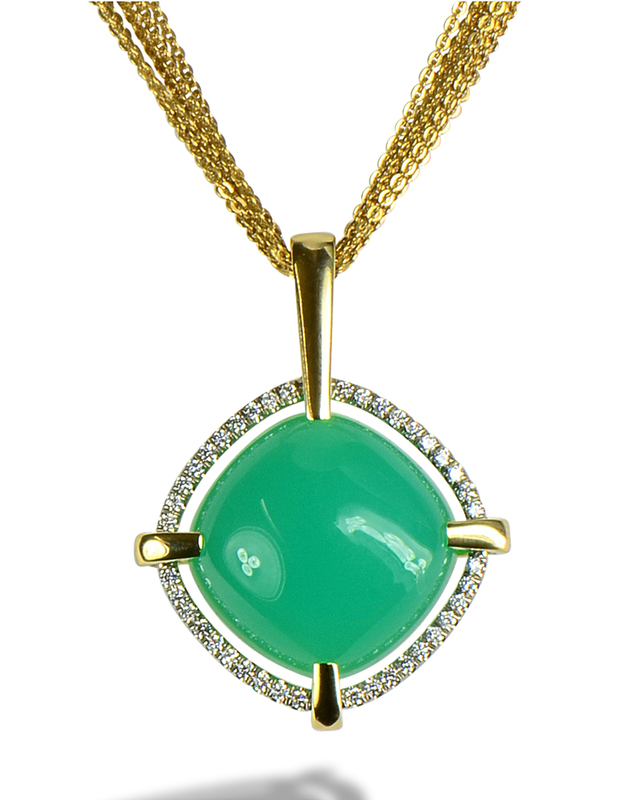 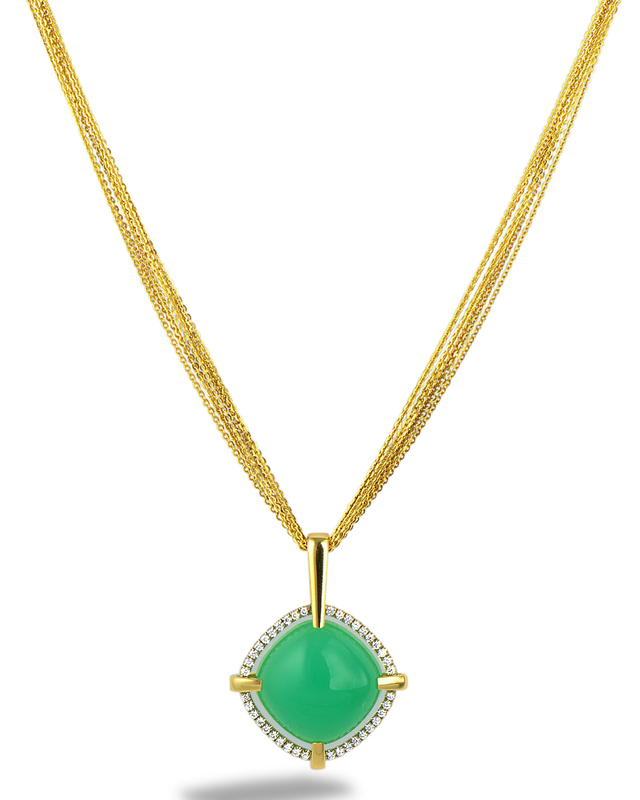 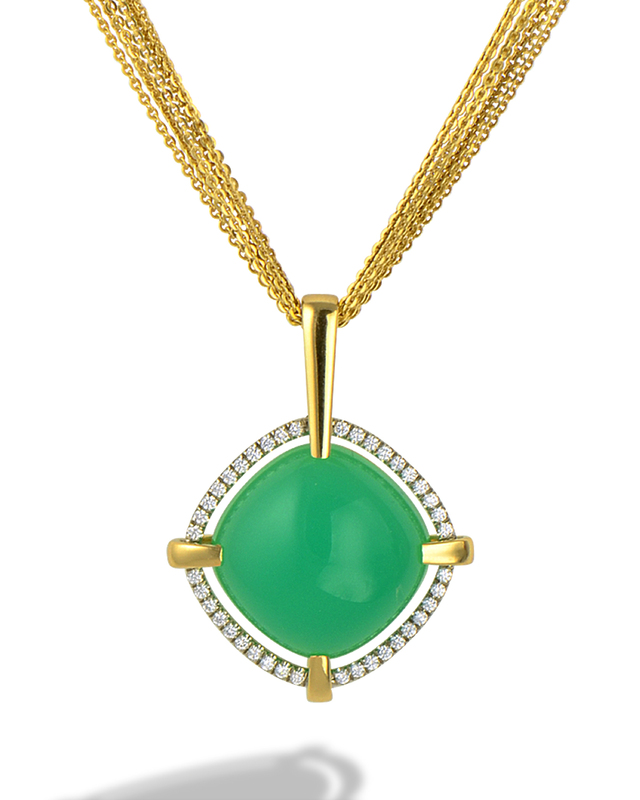 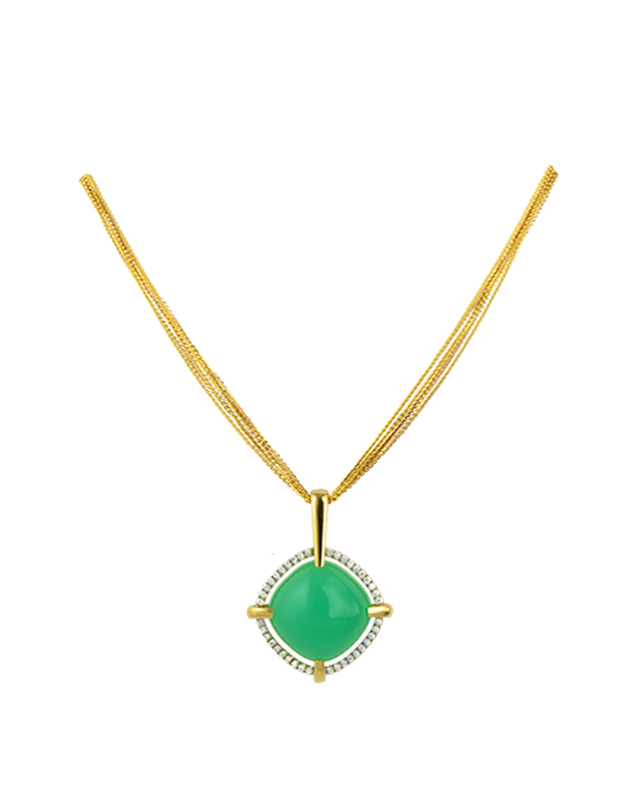 Cushion shaped, gem quality Chrysoprase with diamonds set in 18 karat yellow gold. 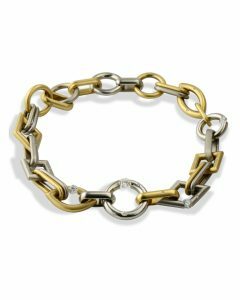 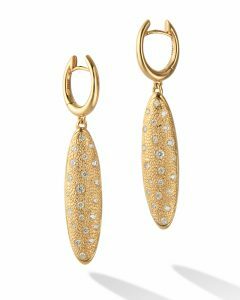 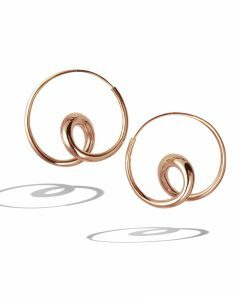 7 strand 18 karat yellow gold chain. 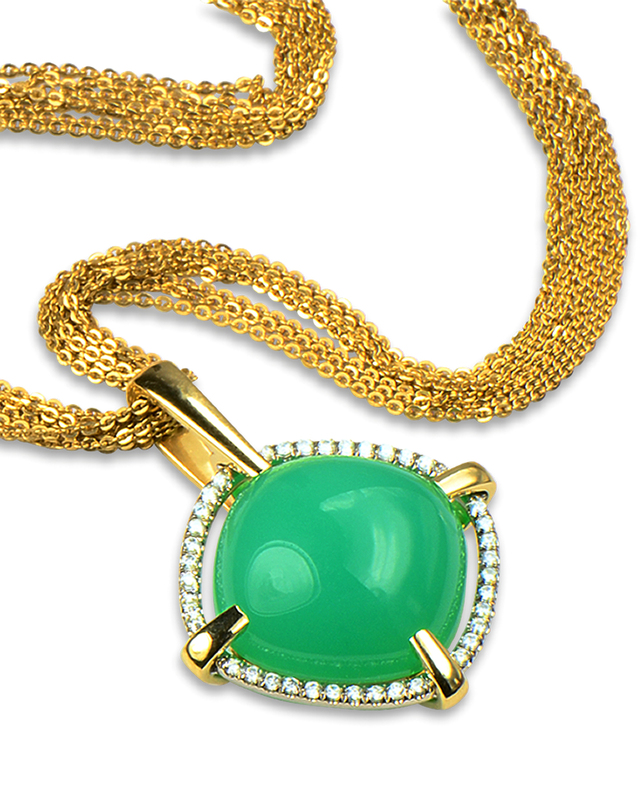 Chrysoprase weighing 26.84 carats and 40 round brilliant cut diamonds (G-color and VS-clarity) weighing 0.43 carat.